It's been in the making for quite some time now and occasional updates from Sankta Anna have hinted on its upcoming release. In other words, it's a new, or maybe more old - but new, release from Sankta Annas Bränneri. The Oak Aged Valkyria Absinthe is what it sounds like - a Valkyria Absinthe aged in Swedish Oak barrels for a period of time. The alcohol level is a bit lower than the original Valkyria - at 60%. 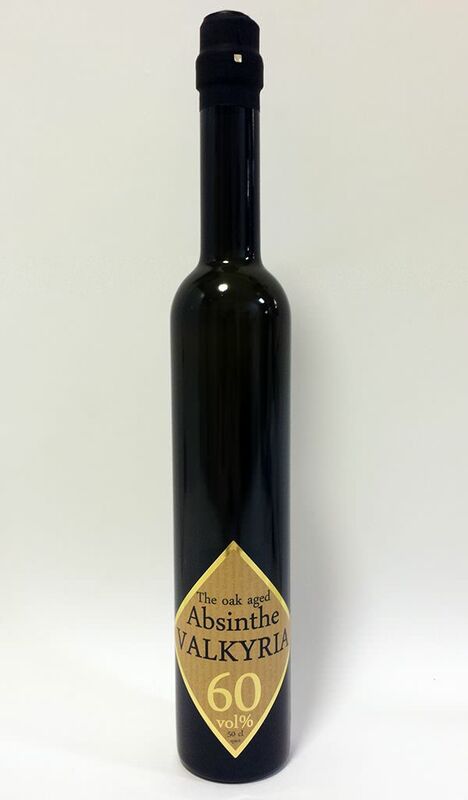 I've had the pleasure of tasting a few other barrel aged absinthes before and of course compare it to those, so buckle up and let's look more closely at this. The label has a nice light brown/beige color palette and on a distance it actually looks like wood grain which is vwry fitting of course. However looking closer it's actually text making out the vertical lines on the label. Clean, simple and nice. Opening the bottle reveals the scent of a Valkyria Absinthe with a twist. Not as much oak and vanilla in the aroma as I had expected but it's there. Pouring a measure in my glass reveals a brownish dark green absinthe and lets the aroma open up more. Looking at the color it's easy to see why the oak in the aroma was lighter than I had prepared for - the color is also less brown than I had expected. Barrel aging an absinthe is a fine line to walk - it's very easy to get too much of that oaky taste transferred to the absinthe and that can easily make it bad. So, I understand why Sankta Anna has likely chosen a shorter period of aging it, not to risk it. The aroma is much like the regular Valkyria with a nice wormwood perfume but with a slightly overpowering star anise. This is balanced by the oak a bit and if it would've had a little bit more oak to it, I suspect the star anise would have been less dominant. Adding iced water to it produces a very thick, nice louche and in the louche it's a bit easier to see that oak aged color coming through. It also brings out more of the vanilla and woody scents and slightly tones down the star anise. 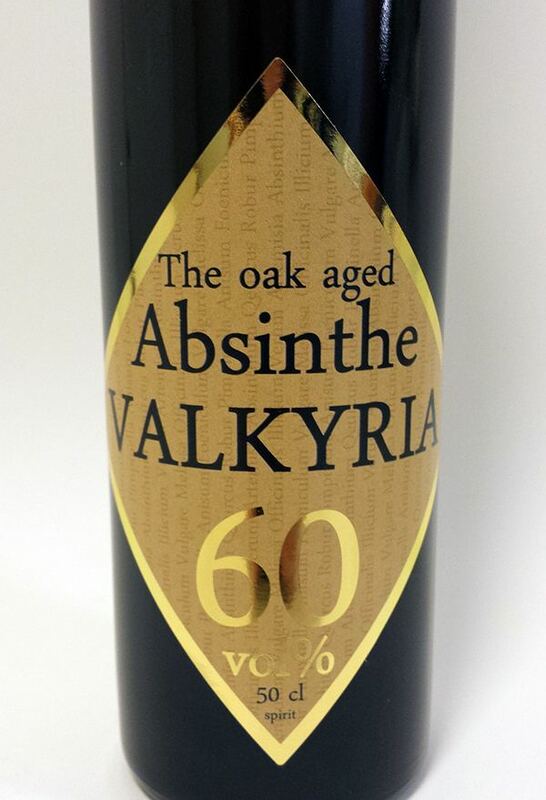 The taste of the Oak Barrel Aged Valkyria Absinthe is a little harder to pin down. There's the star anise again, acting a bit numbing on the tongue. But trying it at different water ratios, careful not to over water it since it's "only" at 60%, lets me find the sweetspot for this very absinthe. Once I hit that mark the star anise is toned down and the wormwood, fennel, pontica and vanilla looks up from that glass. It's very easy to over water it though, so take your time and taste regularly. Question is - is this different enough from the original Valkyria Absinthe to warrant a purchase? Well - yes. What I'd do though is I'd buy it, open it, try a glass and then close and let it sit for a month or two to let it breathe and develop further. I think that will make a big difference. For anyone who hasn't tried a barrel aged absinthe before, this is a nice start. There are others with a far more dominant oak and vanilla profile, which I personally miss in this one, but none the less it's an interesting offering. A limited number of bottles will be released by the start of February and if you're happy with the original Valkyria I do suggest you get one of these and do a side by side tasting That way you can easily see what the barrel aging does.